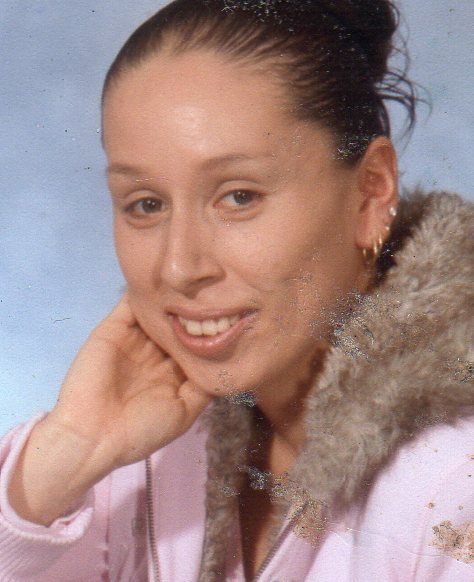 Annabel D. Garza, 34, of Fremont, OH, passed away on Friday, August 18, 2017 at St. Vincent Mercy Medical Center in Toledo. She was born September 15, 1982 in Sandusky, OH, the daughter of Daniel and Mary (Lopez) Garza. She was a 2001 graduate of Fremont Ross High School. Annabel previously worked at First Choice as an Operator. She attended St. Joseph Catholic Church. Annabel enjoyed dancing, shopping for shoes and listening to music. She loved her children and her family. Annabel is survived by her children, Bryson Jones and Giovanny Garza; parents, Daniel and Mary Garza; siblings, Angie (Daniel Sanchez) Montgomery, Andrew (Anita) Lopez, Rachel Garza, Veronica (Nick Palomo) Lopez, Daniel Garza, Jr., all of Fremont, OH, Daniel (Lindsay) Garza, Tiffin, OH; several aunts, uncles, nieces and nephews. She was preceded in death by her grandparents and several uncles. Visitation: Thursday, from 2 to 4 p.m. at 6 to 8 p.m. at the funeral home. Memorials: To her children in care of Veronica Lopez or grandfather, Daniel Garza. Annabel, We had a lot of great times together over the years and I will always remember you and your big smile and that laugh, although we haven’t talked a lot over the last couple years, I still thought of you as a friend and I will always keep you in my heart. My thoughts and prayers are with your babies and the rest of your family. Rest peacefully friend !! Sending prayers and hugs to the family. I will Always remember this Beautiful Babygirl teasing with Adriane that she was my Daughter to… Missed and Never Forgotten. May GOD Bless her Children and Family Always, Give them Strength Father in their darkest hour. Always Remember JESUS LOVES YOU!!!! Sorry for your loss prayers for all of you.